I’m going to take a stand here and say that I, for one, do not think UP is the most amazing movie ever made. Not the best animated movie, not the best Pixar movie, not the best movie this year. I liked it, I really did. But I’m not going to slobber all over it because it could have been better. The animation was great: I loved the effects of the window reflections, though the fact that they stuck out for me may actually be a minus for animation. Still, it was beautiful. I saw it in 3D but don’t think it really added to the movie; anyone who missed 3D likely didn’t miss any experience. 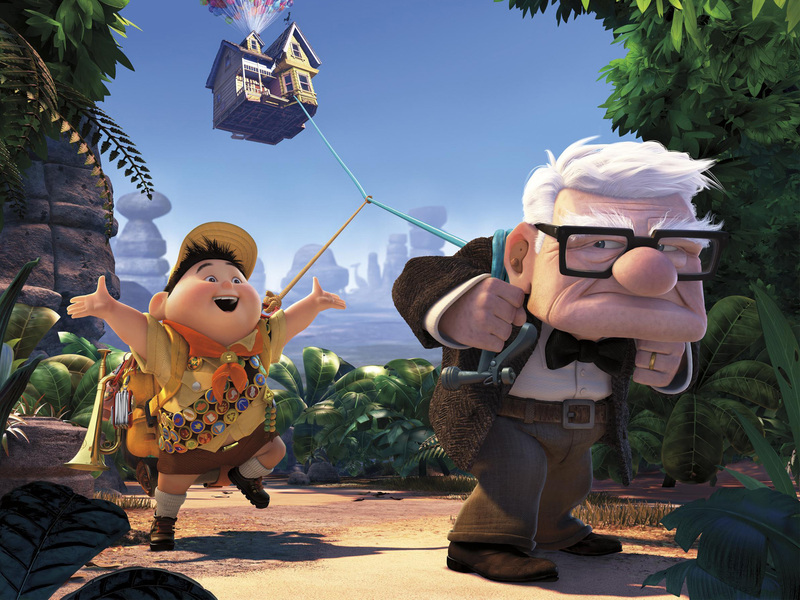 The characters: When I watched the short it appeared that the old man was ornery and grouchy and was being mean to the poor little wilderness scout. I love how the movie made you instantly fall in love with the old man and made you want to drop-kick that kid across the country. Although to be fair, you end up falling in love with the kid too. How they dealt with the dogs. Look, I’m all for magical realism, I’m actually a HUGE fan of magical realism. But magical realism means believing that an old man tied thousands of helium balloons to his house in one night and then flew to South America in it. Magical realism MAY even allow for a talking dog collar. Magical realism does NOT allow for dogs being able to cook dinner or fly airplanes. That is a Looney Tunes cartoon, not magical realism. There had to be a better way to drive this movie than by throwing in a hundred plane-flying gourmet meal cooking dogs – who are then reduced to stealing hot dogs off a plate instead of just making their own steak dinner back in the kitchen. I thought the villain was terribly scary, I thought many scenes might be too scary for very young children – but as I’ve said before, kids thrive on the Scary, so the last problem with this movie is the ultra happy ending. I know this sounds wierd, but as much as I was dreading anything horrible happening to any of the main characters, I think it would have been much more emotionally cathartic to have one of them die. 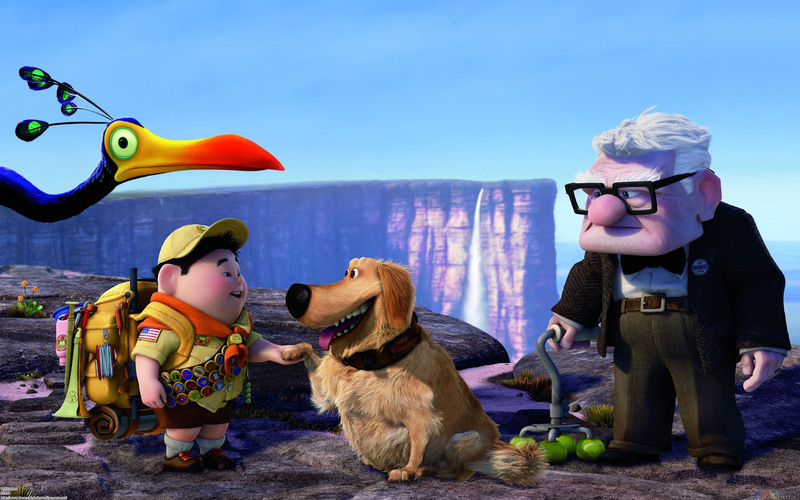 You have three big candidates here: the old man, Kevin or Dug. The old man’s death would have been offset by Russell growing up, Kevin’s death would have been offset by her little babies living, and Dug… well Dug would have just been sad, so we’ll nix that option. I thought it was a great movie, especially the first half. I thought the villain was suitably scary, but I did NOT like the flying chef dogs, and I think it could have used a dose of tragedy at the end. Of COURSE you should see it, and be careful about young, sensitive children, but I’m just not giving this 5 stars. Because it doesn’t deserve it, and if you’re honest with yourself, you’ll agree.